A third Far-East adventure is heading to your near-theater and it will be worth those extra 3-D dollars at the ticket counter. Kung Fu Panda 3, the Dreamworks Animation hit franchise’s new sequel, will be delivered hot and fresh on January 29th — after three major-release date shifts, ranging from December to March. In a recent simultaneous event series recognizing local heroes, limited audiences joined in with the world premiere in California to get an early glimpse of the flick, and your ZIMB team was there! Let me assure you, as a 3-D cynic and dad — this film is not only gorgeous, but they’ve pulled off a story that’s not a rehash in the least, with some wonderful new themes and an enriched array of characters (including some Jade-powered Zombies, or “Jambies”). As we know from the trailers, this new adventure brings the new side-dishes of heritage and parentage into Po’s (Jack Black) life with the arrival of his biological father, Li (Bryan Cranston) and the disclosure that a secret village of other Pandas exists. This is actually something I was very disappointed with, concerning the trailers. The early teasers featured a scene where Po and his father first meet, and to the shock and amazement of Po’s village, they seem to fail to realize that they must be related. It’s a funny gimmick, and we all know it won’t last, but the later trailers blew it for us by revealing exactly how they figure it out and basically when. This would have been a much more anticipated moment of comedy, had we been allowed to wait for the release to see how it worked out. Nonetheless, the path to Po’s discovery of his kinfolk provides a lot of humor and moments of relatable charm. You might rightly assume the return of the father to the situation causes not only frustration with Po’s adopted dad, Ping (James Hong), but lots of potential for amusing and poignant discovery of the dynamics of the two-dad plot line. Those won’t be spoiled here, but they’re worthwhile and send a beautiful message about the various forms family can take, as well as acceptance of the best intentions of those who love us, and how much unity can affect the outcome of our biggest challenges. Of course, the topics of mentors, friendship, teamwork, honor, discovery and courage are intact, as we’ve come to expect from the franchise, and the familiar voices of the Furious Five team once again grace the film. Much of their involvement is lighter in “screen time” (or voiceover studio hours), presumably to make room in the budget and production for the new voices of Mei Mei (Kate Hudson), new villain Kai (J.K. Simmons), and the aforementioned “real dad” Li. As one might expect, this growing ensemble of characters in fully engaged in the film’s action-packed finale. 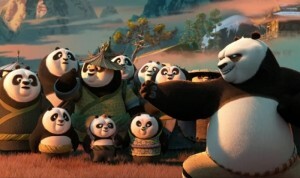 In-between the father-bomb and the inevitable good-guys-win closure, we meet a hilarious host of Pandas in the village, most of whom have traits that might be considered less-than-ideal if one were to mount an army. Of the many constructive messages in the movie is the idea of turning one’s passions or idiosyncrasies into strengths. This is a sentiment which plays well when you consider that the first film was released in 2008, and many kids who are still fans of the series are teenagers today, or nearly such. The audience’s general reaction to the eye-candy 3-D of KFP 3. The voices and music in your ears ultimately pale in comparison to the animation. The depth, quality and artistry in this film’s immaculate imagery are quite praise-worthy. 3-D can be very hit or miss. Usually a miss, especially with live-action attempts famously failing miserably to make the gimmick worth it. In animated film; however, movie magic has a much broader scope of possible accomplishment, if seasoned to perfection like this one is. Kung Fu Panda 3 does it exactly right, with a vivid and engrossing level of beauty. Make it a matinee so you don’t break the bank putting on the 3-D glasses, if you need, but be sure to give it a shot in this format. 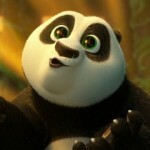 If you’re not rooting for the lovable Po’s latest powerful discovery at least by way of its visual all-you-can eat buffet, you’ll want to have your eyes checked. 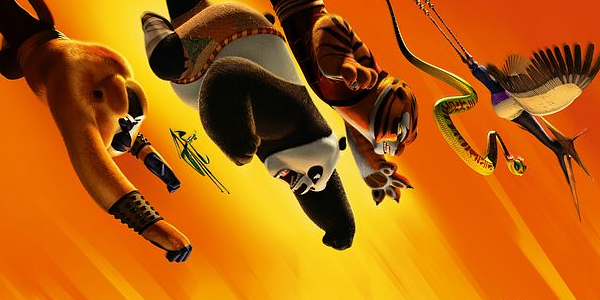 With a likelihood of three additional sequels, according to DreamWorks Animation CEO Jeffrey Katzenberg, we’ll see how long the franchise can live up to its own bar-raising habits, but so far, their dumplings have not run out of steam.